In the last days of June, I spent it in blissful dancing. I’m talking balance and swing, up a double and back, that sort of thing. In the country. On a pond. Revisiting my youth. But I chose the wrong wines. Maybe it was the heat? Nothing performed. It was humbling and disappointing. Yes, the wine was in question. So when I came home I wanted something affirming. With authority, I reached for a hidden bottle in my wine fridge. It whispered, “Get the corkscrew.” I thought, it’s my birthday week, so why not? 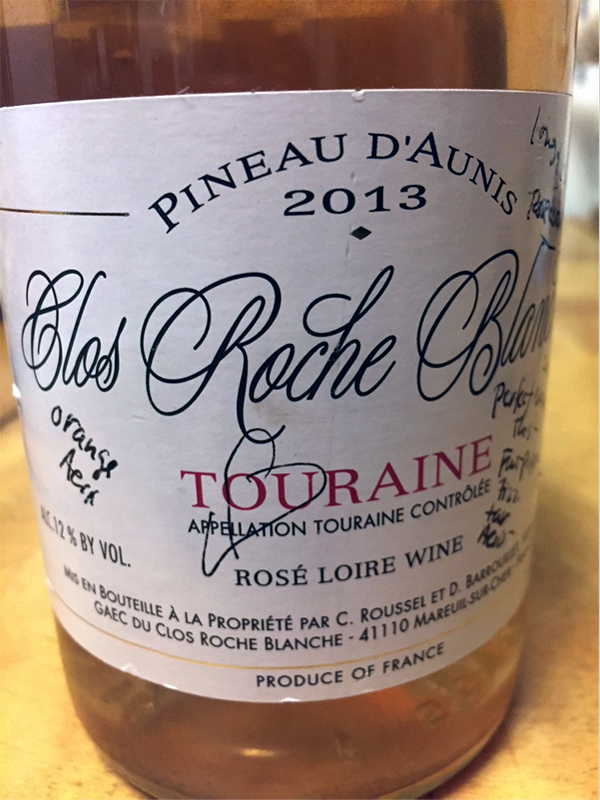 It was then that I uncorked the Clos Roche Blanche 2013 pineau d’aunis. As soon as the cork eased out I had a panic attack. Why did I not realize that bottle was the last of the stash? Clos Roche Blanche shuttered its winery after the 2015 vintage. I was in love with the place, the people, the vines and the wine, way before I stepped foot in Mareuil-Sur-Cher. I have a few more bottles of other cuvées laying down, but no more of their iconic rosé. In the moments before I poured a glass I realized I hadn’t prepared for this kind of sentimental journey. Oh. My. If you’re lucky to have any left in your cellar, it’s singing. The fruit—which it never had—has woken up and with all of that pepper and vibrancy. Even rose. And that finish? Tart and ripe at the same time. Where did that come from? The austerity showed a dividend. And now, days later, the leftover sips remain in the bottle, in the fridge, waiting until it passes over into the other side. Sometimes accidents happen, or you can argue there are no accidents. The most perfect moment for that wine was one had by myself. There’s a lesson in that. I am sure there is. And yes, wine is all about questions. I’ve had a million things to tell you and then kept on forgetting. Here’s one. Marie Rocher has published a new translation of Le Vin en Question, the famous pre-dinner interview with natural wine grandfather, Jules Chauvet. You shouldn’t expect earth-shattering revelations but you will get an intimate glimpse into the man that has achieved mythic status in the natural wine world. It is required reading. 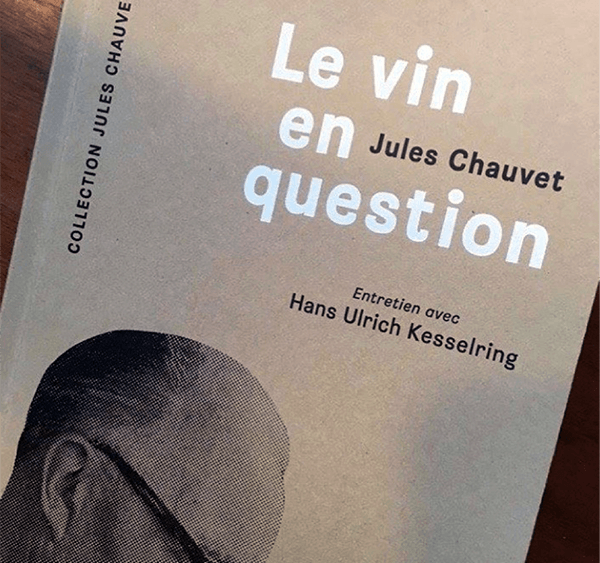 You can order it from Amazon France or England, or even better, through a bookstore or through the publisher, Éditions Épure. Ah! Did you know it’s been a decade since The Battle for Wine and Love was published? Ten years. How the world of wine has changed since then. A good way to measure this is through a piece I did eleven years ago for GQ: “The 10 Most Overrated Wines.” If I revisited the idea—which I might—a few of the most overrated wines would actually be natural. That’s how much things have changed! What do you think? See some overrated natural wines out there? I would love to know. Drop me a line atand let’s see what we come up with. Glad I came across this. I have a wine lover with a birthday coming up soon and I feel like she’s read every wine book out there. I know for a fact she’s not read this and will enjoy it. Thanks!! !